Long held hopes for Sri Lanka's port of Hambantota to become a bunkering hub were boosted this week after a deal was signed to build a 200,000 barrel-per-day refinery near the port. The facility comes via a $3.85 billion investment from Oman's Ministry of Oil and Singapore-based Silver Park International Private Limited. 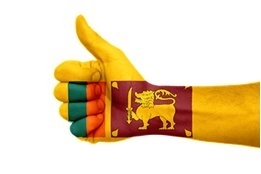 Sri Lankan authorities say it represents country's largest ever foreign investment. Reuters reports that Silver Park, who will take a 70% stake in the venture, is in turn majority owned by Indian interests. The port of Hambantota, meanwhile, is now controlled by Chinese interests who said in January they were looking to restart the previously failed bunkering operation at the port by partnering with a "global player." Construction of the new refinery is expected to begin on March 24 and be completed in 44 months.